Then I had them make a box out of paper. 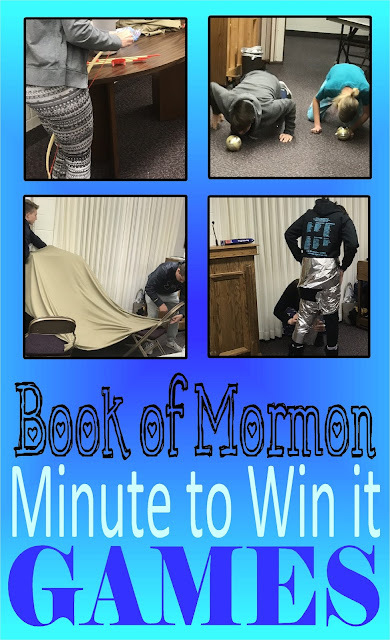 Inside the box they write what their gift is to Christ this year. I printed mine on a parchment paper to look like the 1800's but you could use any style of paper that you like. I printed mine on card-stock, but I think that a nice thick colorful paper would work just as good. Once it is printed cut along all of the edges. 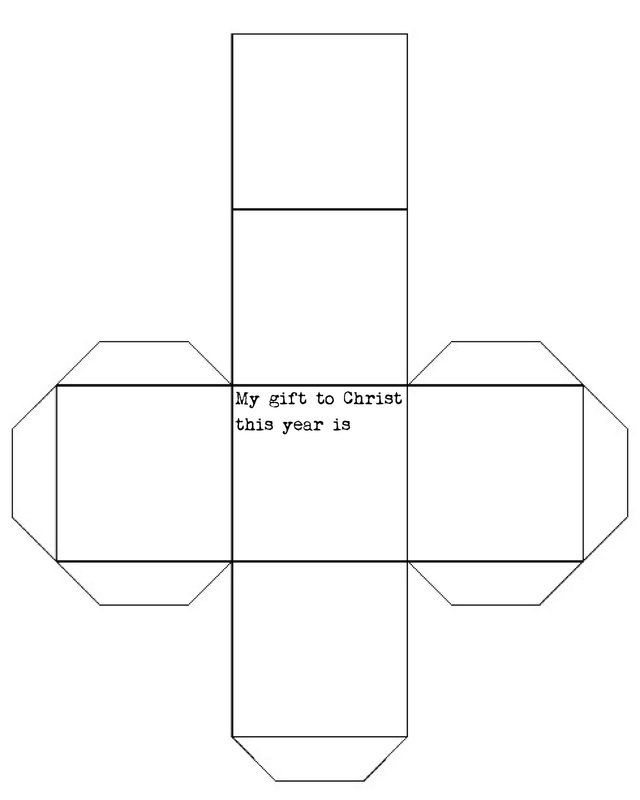 Then write what your gift to Christ is in the middle. Fold it so that the printed side is on the inside of the box. 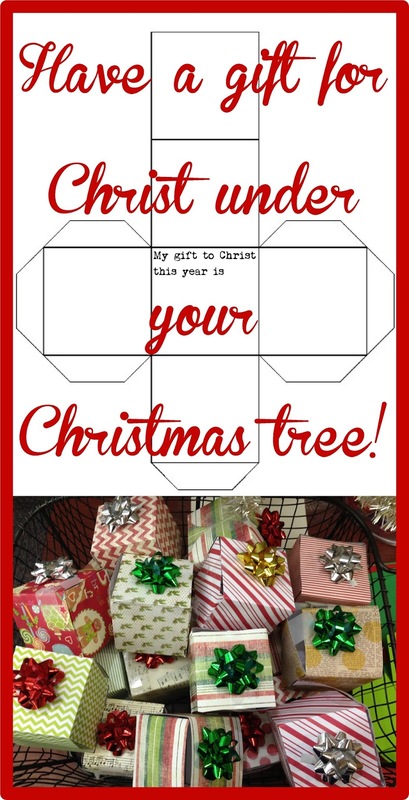 Glue all of the edges together then decorate with paper, ribbon, markers, stamps and a bow. I had the students put a string on it so that they could hang it from their Christmas tree. Here is an example of boxes done with many different colors of scrapbook paper. 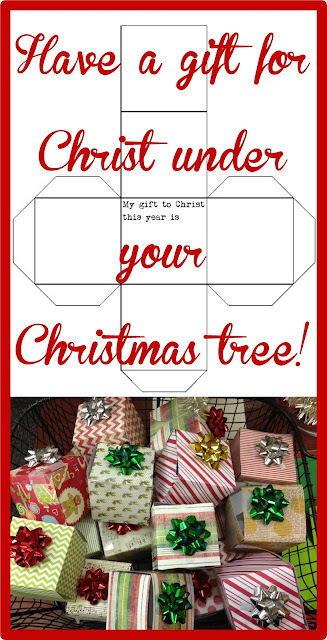 Visit my fun and free Christmas page for more ideas.